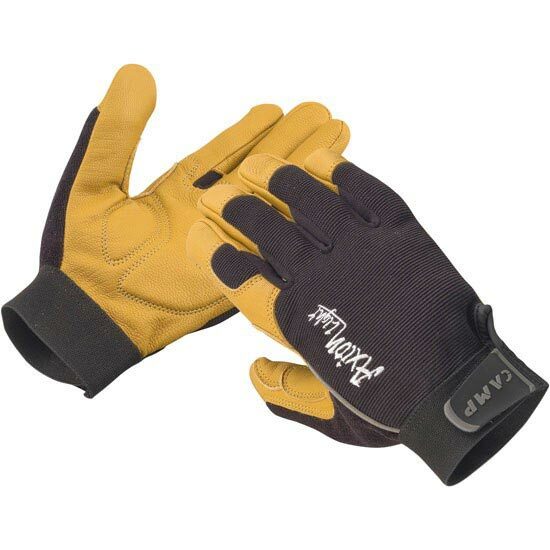 The Axion Light gloves, by Camp are lightweight, durable and breathable for maximum performance when working on ropes with construction and materials. Highly comfortable, the palm is constructed from premium goatskin leather, the back uses light and breathable mesh fabric, the cuff is durable elastic with velcro closure. CE EN 388 certified for mechanical risks (protection values: abrasion 3, cutting 1, tearing 2, perforation 2).